Ask fellow campers about "Wildwood Park" and nearby attractions. 12 miles north of I-20, just west of Augusta, Ga. This is a county park. This is a great one-nighter and a great destination park. Also know as Strom Thurmond lake on the maps this is the largest man made lake East of the Mississippi River. Great hiking and bike trails, frisbee golf, and boat access! 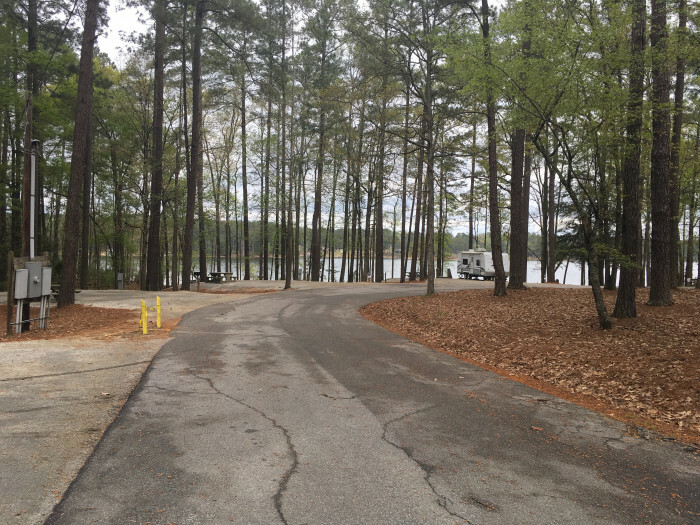 Two separate boat ramps, totaling eight ramps, with boat rentals available. We spent one night. Roads are wide, easy to navigate. Staff very friendly and helpful. Cell service for AT&T and Verizon were strong, and WiFi actually worked better than most places we stay! Pads have been built up. We wanted to stay connected to our truck since it was for just one night. Site plenty big for truck and 30' trailer, however I did disconnect my pull behind camper boat trailer and all fit easily on site. No sewer. Sites need to be examined before reserving, as some are victim to runoff wash and can be very unlevel, front to back. Ours was perfectly level all four directions! We camped at Wildwood Park in a Fifth Wheel. Very large sites on generally level combo of sand and crushed rock. Of course, no sewer as it is a county park. On huge Clarks Hill Lake. Bring your water craft. Excellent WiFi. Walmart and restaurants are within 10 miles in Evans. On the negative side, in Section 1, the shower temperature was preset and was too hot for me in an already hot bathhouse. I suggest outdoor shower at your rig! We camped at Wildwood Park in a Motorhome. There are other parks nearby but if you have a boat or seadoo, this will work and cheaply. Boat launch right on site. WiFi is excellent. Well organized park. Friendly staff. Well maintained. Site was on a bluff overlooking the lake. gorgeous! Close to bathrooms. Site had a real nice stone firepit and picknick table. Was also nicely shaded. Stayed for the Masters as we had tickets for the Monday practice round. No sewer hookup but easy access to the dump station in area 2. Would return in a heartbeat.. We camped at Wildwood Park in a Travel Trailer. 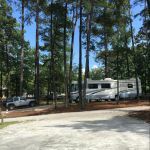 Great campground for Masters week! I can see in the summer this place would be swamped! You have to have reservations even in the Winter as no "walk up". We camped in a 24foot class B. Our site was against the water-space 13. Showers were clean but only 2 stalls so if campground full it would be crowded. Good lake to bring boat to fish/ski. We camped at Wildwood Park in a Motorhome. Easy access and we were comfortable with our 40 foot fifth wheel. We stayed in Area 3 right on the lake and had no disturbance from boats or neighbors. Wooded, clean, quiet. Extensive hiking trails, easy mountain biking as well as the lake to enjoy. 30/50 Amp electric, water but no sewer - dump station on site. Picnic tables and fire pit each site and most sites are well spaced from others. Easy road access off I20 exit 183. We camped at Wildwood Park in a Fifth Wheel. Nice campground stayed in forest section across from boat ramp where there is a lot of action. Large sites, clear and level. 30/50 amp no sewer. Free wifi also. Restrooms clean. Park has other camping areas and several playgrounds. Most sites are on the lake. We camped at Wildwood Park in a Travel Trailer. Nearby is Pollards Corner Store with ice machine, gas, lp and store. Avoid. Use any of the numerous nearby state or federal facilities instead. It's worth the extra $6-to-$8. (1) Restrooms underconfigured. Okay for preseason but there are surely waiting lines and possibly Reek City during peak. (2) Shower drain elevated leaving a pool of water around your feet. (3) noisy! Boats with loud music, at least one campsite with stereo thumping right up until quiet hour, why isn't camp host taking action? Offseason midweek might be okay but weekends, forget about it. (4) No play place for kids; grassy area is full of boat trailers. (5) Absurd cancellation policy is a ripoff; if you must stay more than 1 night, take time to structure it as multiple short reservations so you have half a shot at a refundable reservation in case your plans change. Once you occupy, your prepaid fees are gone, even if you give 96 hours notice that you need to vacate. No, you don't lose 1 night's fee, you lose the whole bundle, even if you prepaid a week or more. (6) Site kind of small and uneven (bring jacks), has steep drop-offs, not good if you have small kids. Some residual trash from previous occupants, including supposedly prohibited alcohol (beer cans in fire pit), but if you want to have a glass of wine with your dinner, conceal it well. SUMMARY: Repeat, AVOID. We camped at Wildwood Park in a Travel Trailer. A wonderful experience. We checked in to stay for Christmas holiday and was pleasently surpised by the location. Absolutely stunning. All spots looked well kept. We drove around the rest of the park and the ramp area is one of the nicest I have seen for anyone bringing in a boat. 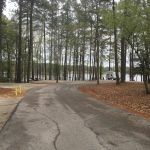 We camped at Wildwood Park in a Travel Trailer. There are very nice sites here on the lake and other sites that are relatively unexciting. They all seem to be good-sized. Employees at the front are not all that friendly but no significant issues. Great place for boaters -- there are lots of them here. Bath houses were frumpy. We camped at Wildwood Park in a Motorhome. We stayed here over Masters weekend. It is close to Augusta and to I-20. Shaded lots with fire rings, picnic tables and plenty of room between each site. Nearby stores for provisions if necessary. Not all sites are pull through. 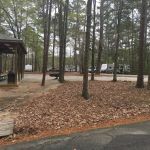 We camped at Wildwood Park in a Travel Trailer. 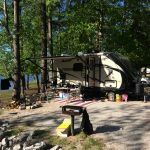 This county campground on Clark Hill Lake was a wonderful discovery. We were able to navigate their road in a 40' fifth wheel without difficulty. Great view of the lake, plenty of hiking trails. Restrooms/showers very clean and we actually used them. Plenty of elbow room. A great value compared with the state park campgrounds, too. 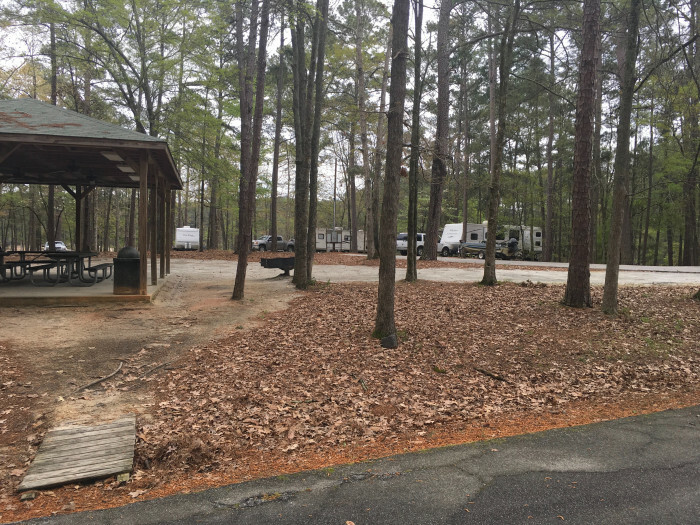 No site checks were done while we were there in March and most fellow campers appeared to either overstay their reservation or slip in and out after/before business hours without checking in. This may simply be a winter occurrence during very slow season. We prefer to pay for what we use and you certainly shouldn't count on doing this - it's simply an observation of something we found unusual. 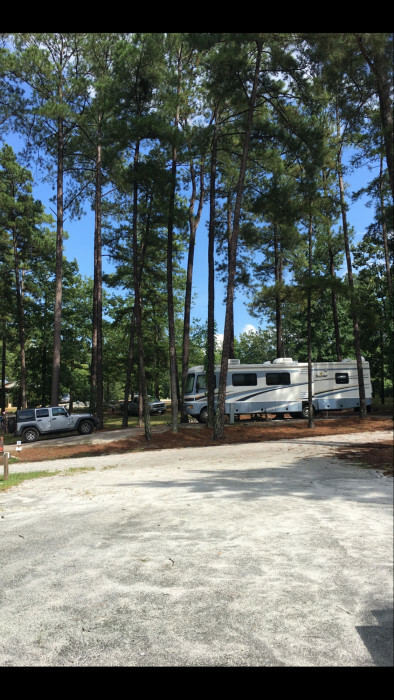 We camped at Wildwood Park in a Fifth Wheel. Are you affiliated with Wildwood Park ?